We are fully into party planning mode here for Zoey's Birthday and I was looking for something to decorate the buffet tables. I have seen stenciled letters already pre-made before but I wanted some specific designs and colors to go with the party theme so I decided to make my own. Even though these are very inexpensive to make (Under $20) I like that this can be re-used in the future or for home decor. This would be great for kids rooms too! 1. 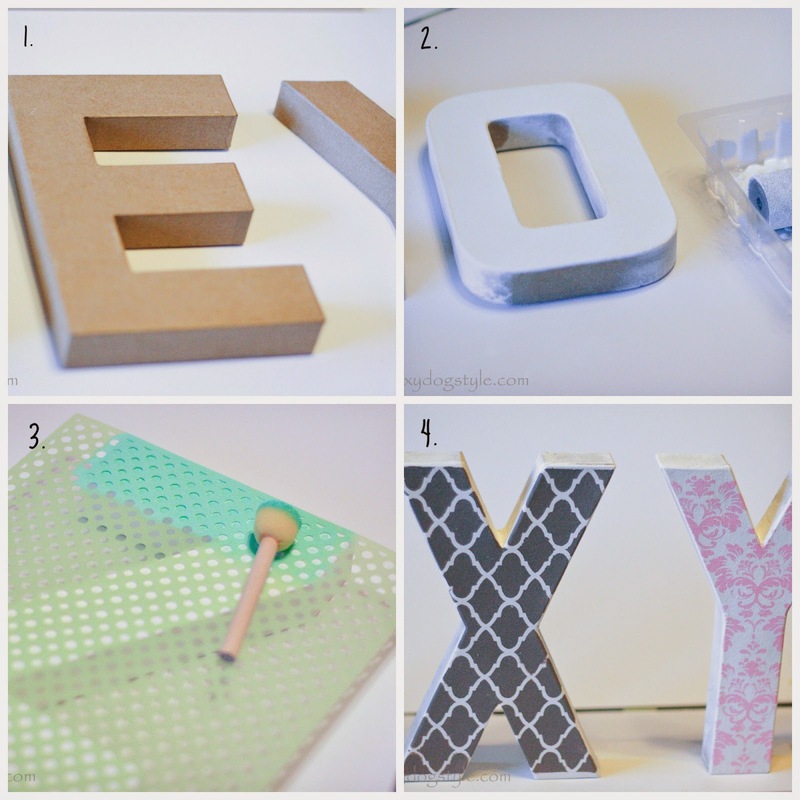 First find yourself some block letters at a local craft store such as Hobby Lobby, Michaels, or Jo-Anns. I used the 8" Paper Mache letters from Hobby Lobby available here. I got each letter for 50% off on sale and I recommend you do the same, or use some coupons. If you want to save extra time you can buy the pre-painted wood letters. 2. I used a small craft roller and acrylic matte white paint to cover the letters. I did 2 coats on the front surface of the letters (where the stenciling goes) and one coat on the sides and edges to give a rustic look. I like that they are imperfect and sort of shabby chic! 3. When the white base paint is fully dry, use a stencil sheet or a silkscreen stencil to position over the letter. I took a small foam pouncer and applied the colored acrylic paint gently over the stencil. I went back and did another coat when it was semi dry. Be careful not to move the stencil or you may get a crooked pattern (note the slightly off-centered pattern on my letter "X"). My favorite paint colors are from Martha Stewart and are the satin finish. 4. Immediately remove the stencil and wash it off (for re-use) and let the design dry. I then used the hot glue gun to glue the letters to a thin piece of wood from Michaels. Viola! 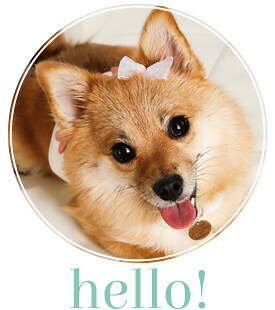 Cute and charming letters! Love this! 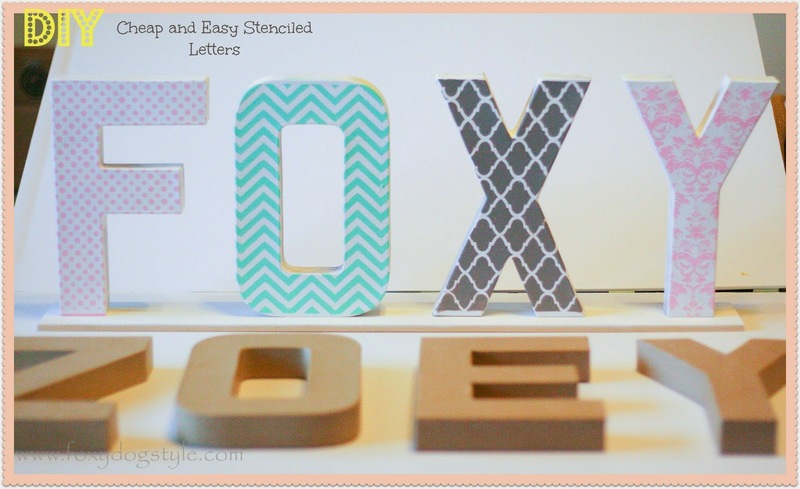 We used similar block letters for a baby shower recently!